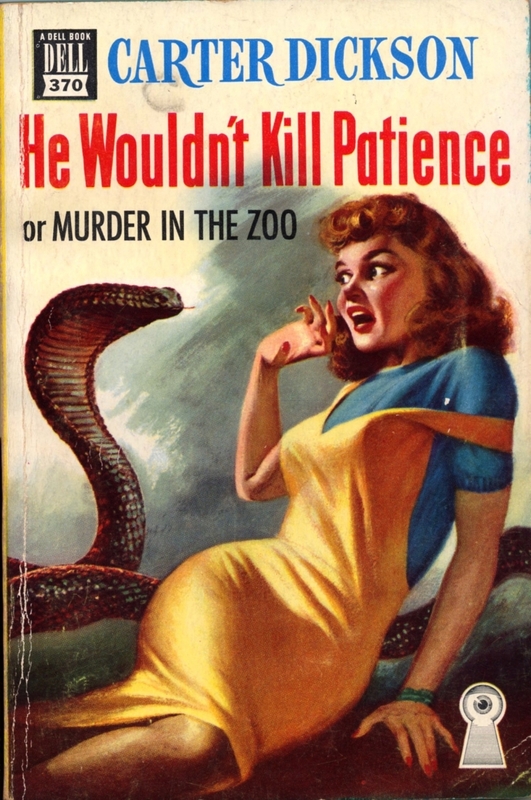 The reader is warned that the following post is utterly partisan and nothing less than a love letter to the work of the master of misdirection and the locked room mystery – and the writer who, often when writing as Carter Dickson, also produced some of the funniest of Golden Age mysteries and some of the best radio mysteries of the era. Although variously attributed to Terry Carr and Brian Aldiss, it is now thought that it was Peter Scott Graham who first quipped that, “The Golden Age of science fiction is thirteen.” I feel the same way about any revered era as I probably did most of my important literary detective work in my teens. And I know exactly when I had my first encounter with the work of the masterful Mr Carr: August 1983, when I was 14 years old. 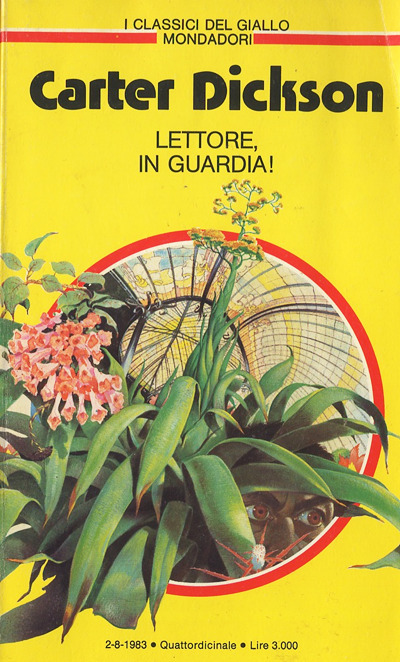 That month saw the re-printing of The Reader is Warned in Italy. I absolutely loved the atmosphere, the humour and the sheer cleverness of the plotting and quickly found that another book, also under the ‘Carter Dickson’ byline and still starring Sir Henry Merrivale had just been published, Nine and Death Make Ten (aka ‘Murder in the Submarine Zone’). 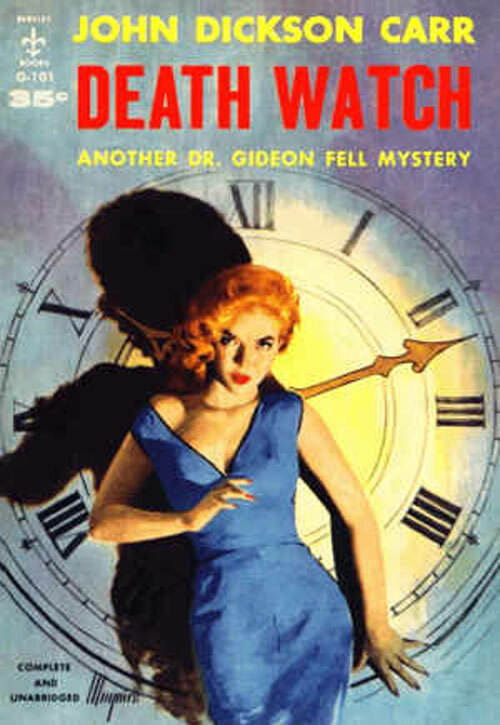 This was another winner and I was desperate to find more of the author’s books – it turned out that both my parents had read him and my mother, being in particular a fan of historical fiction, had a copy of Fire, Burn (1957) one of a trio of mysteries Carr wrote that combined fair play deduction with time travel. This was also my first encounter with Carr’s delightful ‘Notes for the Curious’, which he appended to these books and which were full of fascinating additional historical details. Not all the sources I initially consulted on Carr were kind about his body of work. Barzun and Taylor are famously sniffy and Bruce F. Murphy in his encyclopedia damns with faint praise and clearly has little interest in the author. On the other hand Julian Symons as quoted above, while far from being without criticism, was full of admiration for the cleverness of Carr’s stories. 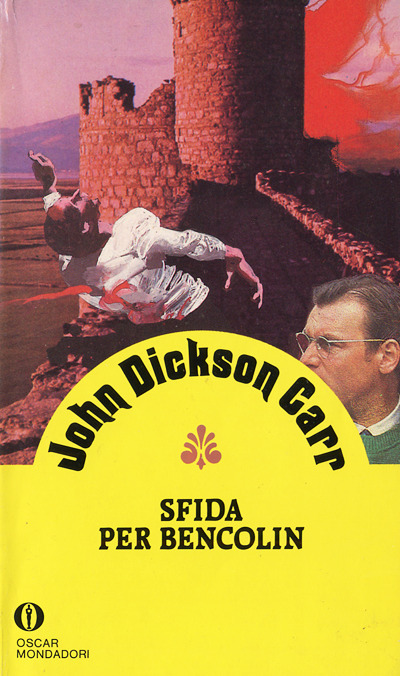 All this activity in Italy coincided fairly closely with Carr’s work being championed in the US by Douglas G. Greene, who has probably done more than anybody else over the decades to help new readers discover the joys of the locked room mystery. In 1980 he edited The Door to Doom, a wonderful anthology that not only brought together several classic short stories and radio plays but also included several pieces that Carr wrote for The Haverfordian, his school magazine. Most valuable of all perhaps was the detailed bibliography that provided a truly enticing glimpse into the dozens of novels, plays and short stories written by Carr over a period of some 45 years. I wore out a copy at the library near friends in the UK and every year I used to take it out, until one day I was able to buy my own copy at the wonderful Murder One bookshop, which sadly is no longer (or rather, not as a shop in central London – they do still trade as a mail order company at least). Three years later Greene edited The Dead Speak Lightly (1983), a further collection of some of the Carr’s best radio plays – this volume is a little tougher to track down but is well worth the effort (I got my copy at the late lamented Mysterious Bookstore in San Francisco). TomCat has provided a detailed review of The Dead Speak Lightly over at his Detection by Moonlight blog. For decades Carr invented complex whodunits which were not just wonderfully atmospheric but also funny and on top of which had that all important extra, a massive and utterly delectable cherry on top: the impossible crime. Murderers would dispatch victims on snow, sand and tennis courts and leave no footprints; men would dive into swimming pools and apparently vanish; rooms with all entrances and exits guarded would be impossibly penetrated; and in one of my absolute favourites (He Wouldn’t Kill Patience from 1944), a person apparently commits suicide by sealing a room with tape on the inside and then turning the gas on – and yet, it’s actually murder! To solve the cases are either the satanic Henri Bencolin, the GK Chesterton inspired Dr Gideon Fell and perhaps best of all, ‘the Old Man’, the highly undignified and yet utterly brilliant Henry Merrivale, whose cases were published as by ‘Carter Dickson’. These were, as I mentioned, the first that I read and perhaps remained my preferred adventures. But there are also the historical mysteries involving hints of the supernatural (such as the 1937 classic The Burning Court). In all there were over 70 novels, approximately the same number of mysteries written for radio and about half as many short stories, including the wonder Colonel March stories collected in The Department of Queer Complaints (1940). There is just so much to choose from – could it all be good? Well, no. Carr (and ‘Carter Dickson’) were at their peak throughout the 30s and 40s. After that Carr suffered from some health problems and the quality did occasionally drop off, though Fell novels published as late as The House at Satan’s Elbow (1965) and Panic in Box C (1966) are still to my mind tremendously entertaining and delightfully clever – and I really like some of the later historical novels too, such as The Devil in Velvet (1951) and The Bride of Newgate (1950). Can I generate a list of (only) my top 10 favourites? Well, if I must, then today these are my top 10, though this might change to another batch of wonderful books on a different day of the week. 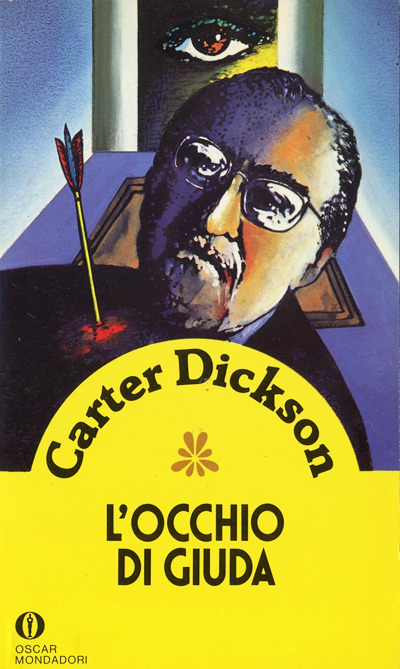 Those marked with an asterisk (*) originally appeared under his ‘Carter Dickson’ pen name. All over the blogosphere there are many of Carr’s fans writing about him and discovering his work anew or re-presenting it to potential new readers. Patrick over at At the Scene of the Crime is devoted to impossible mysteries, as is TomCat, while the Puzzle Doctor over at In Search of the Classic Mystery is planning to review all the Merrivale books and has produced a good guide to them here: http://classicmystery.wordpress.com/sir-henry-merrivale/. Particular mention should be made of the many essays by Pietro De Palma, a frequent visitor to these shores. Although he also blogs in English at Death Can Read, most of his essays on Carr are in Italian – for those of you able to read the original, or make use of BabelFish Translate and the like, there is much here that I think you will enjoy – especially his essays on the novella The Third Bullet; the ‘Locked Room Lecture’, which I quoted above by Carr, here and on locked rooms more generally here and here. He has also written on the first four short stories featuring Bencolin as well as a look at Mary Shelley, automatons and The Crooked Hinge. Let all these erudite enthusiasts assist you in participating in the most ingenious and diverting of murder mystery conventions and surrender to the sheer pleasure of what Carr termed, “The grandest game in the world”. Sergio, I think you’ve come up with a good “top ten” list – but I’m always surprised that people never mention what I think was one of Carr’s cleverest books, “The Nine Wrong Answers.” Talk about playing games with the reader – the book (for those who haven’t read it) contains nine footnotes throughout the book – each taunting the reader for jumping to an incorrect conclusion. And I suspect that virtually every reader will be left gasping at the audacity of the final twists. It’s not his greatest – I agree with your choices of “The Hollow Man” and “The Judas Window” – but it certainly deserves to be on that list! Thanks very much for the suggestion, Les – and I agree, The Nine Wrong Answers is a terrific book (based on Carr’s equally terrific radio play, ‘Will You Make a Bet with Death?’ which you can download here) and indeed hope to run a review of it soon. John Dickson Carr is one of my favourite authors. I possess almost the entire collection of his novels. Thou art clearly a man of considerable taste and critical acumen 🙂 Good to have you here! You are too generous about my work, but I thank you. I don’t see how it is possible to be too generous in this context, Doug 🙂 All the best, Sergio. I am a great fan of John Dickson Carr / Carter Dickson although it is only his pre-WW2 work that wows me esp. 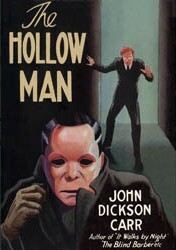 ‘The Hollow Man’ and ‘The Judas Window’.There iks a BBC Radio version of the former (1959) w a fine work f/ Norman Shelley as Fell who manages to convey some of the – indeed- tragedy of the events. Thanks Tim. Will check it out.